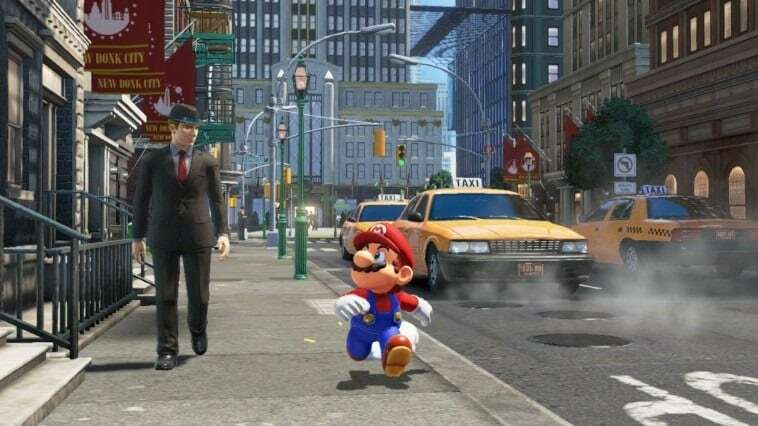 Super Mario Odyssey Review – Back in the 80s when Super Mario Bros was first released for the NES, it was loved by all and whoever owned the console back then, had the game. There was no save game feature back then, it was all in pixels with funky oldish tunes, and Peach was blocky and not as pretty. 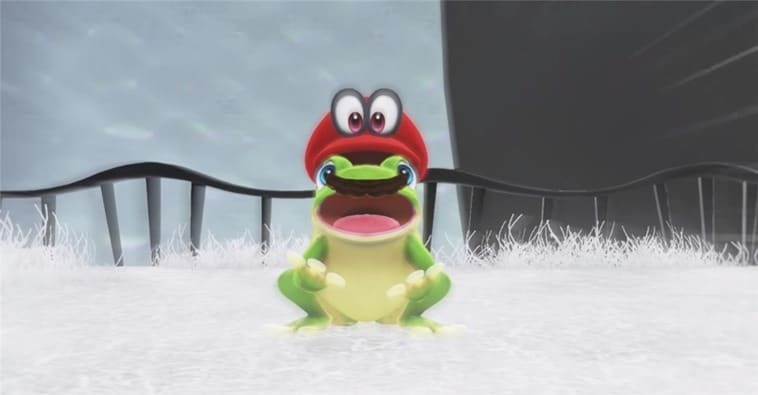 Fast forward to the future, the new Super Mario Odyssey for the Nintendo Switch was already announced and hyped for a long while. I first saw it during the Nintendo Switch Australia launch but I never thought that it’d be this good. Really, it is. If you haven’t read our review on the Nintendo Switch yet, do check the Nintendo Switch review article. 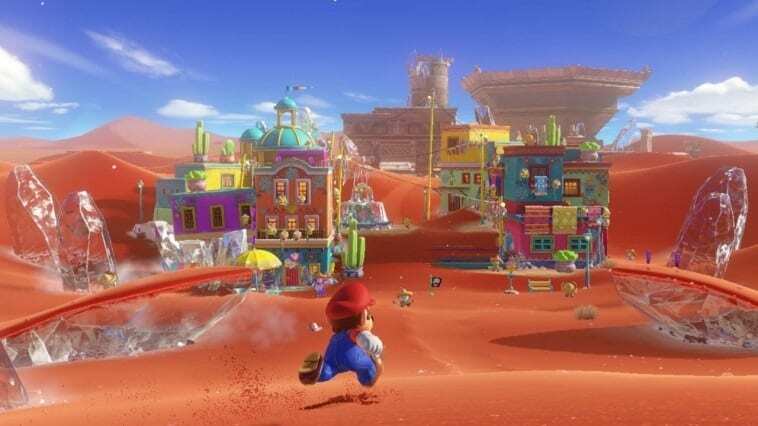 Super Mario Odyssey story line was kind of expected (I mean, we are talking about a Mario game here – unlike the Mario and Rabbids’ world mash-up game also for the Nintendo Switch). 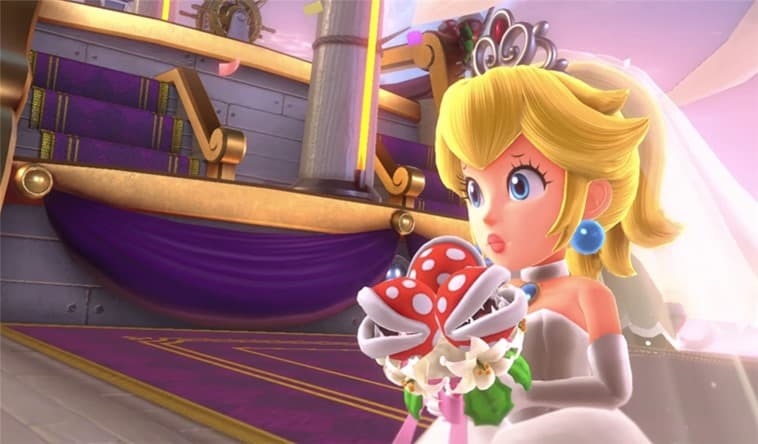 Peach is being kidnapped (again) by Bowser and it’s left to Mario for the rescue before the wedding day arrives. But of course, though it may sound that simple, the game is actually not. It is literally rich in everything: graphics design, sound design, map design, gameplay, animation, innovation, and anything you can think of about a Mario classic being redesigned from the ground up. The ability to be able to get into a creature and control it to solve the current situation’s puzzle is mind blowing. It’s not just smart, but definitely an out-of-the-box design for the Super Mario Odyssey. Thanks to Cappy, Mario’s new living cap, and the Joy-Con motion controllers on Nintendo Switch, you can use a variety of moves for combat. 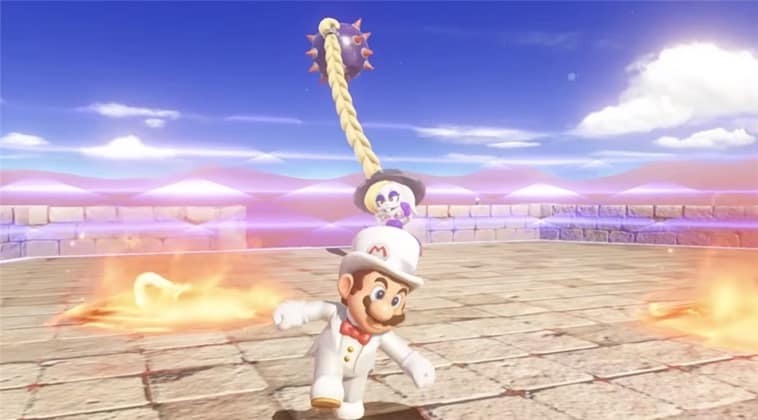 Honestly, I was quite overwhelmed by all the gestures and actions that Mario can do in Super Mario Odyssey. Thankfully, you don’t have to memorise all of them as you can get by using the basic ones and the game always gives a handy tip when you need to perform on an action at certain locations of the game. But if you are feeling nostalgic, you can jump around and stomp the enemies like the good, old Super Mario Bros. Speaking of nostalgic, there are short sections within the maps where we would be taken to the 8-bit retro Mario just for good times sake. The switch between the 2D and 3D is really seamless and smart. The occasional boss battles are fun too and give a nice pace of change to the game. They are not hard but does require a little bit of thinking to bring them down (or worst to worst, a few deaths until you can understand how to find their weakness and beat them). Super Mario Odyssey is cute, fun, and simply amazing to play. Its game design is top notch and delivers more than what the fans would expect from a Mario Bros game remake of the classic. This is definitely another must have game on your Nintendo Switch. There are also tons of contents in the game and there are more stuffs to unlock and play once you’ve completed the game.